Are you a good listener? Effective leaders are known for their ability to be great listeners. I’ve learned over the years that without following these principles, one can look like a good listener (diligently going through the motions), but at its core you’re not really getting it, and instead waiting for other the person to stop talking so you can reply. It’s the reason why we miss out on deeper connections with others–one of the biggest failings of leaders. 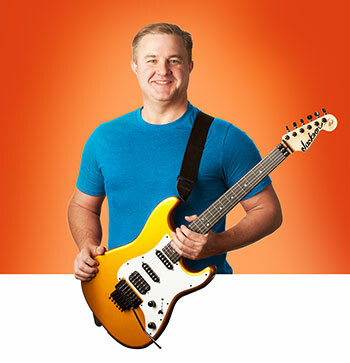 I follow these in my daily life, both professionally and personally, and I’ve found that with daily practice, I’ve actually become a really good listener, which has helped me immeasurably as a leader at Infusionsoft. Here are 4 principles of effective listening that have worked for me in my career, (and more importantly, my marriage and friendships). 1. Say less than you think. This principle seems simple, but in practice it one of the easiest to forget. We all know people who have little control over governing their speech. Pause before responding, especially in conflict situations. Avoid “me too” comments in meetings. Allow moments of silence in phone conversations. Cultivate a low, persuasive voice. Research the word “Bloviation” …and don’t be that! 3. Seek first to understand, then to be understood. This is habit No. 5 from Stephen R. Covey’s book, The 7 Habits of Highly Effective People. If you’re like most people, you probably seek first to be understood; you want to get your point across. And in doing so, you may ignore the other person completely, pretend that you’re listening, selectively hear only certain parts of the conversation or attentively focus on only the words being said, but miss the meaning entirely. So why does this happen? Because most people listen with the intent to reply, not to understand. You listen to yourself as you prepare in your mind what you are going to say, the questions you are going to ask, etc. You filter everything you hear through your life experiences, your frame of reference. 4. Listen with the intent to understand, not necessarily to reply. This principle is related to No. 3 above, but it specifically calls out the tendency of preparing to speak instead of trying to understand and communicate. The ability to listen actively demonstrates sincerity, and that nothing is being assumed or taken for granted. Active listening is most often used to improve personal relationships, reduce misunderstanding and conflicts, strengthen cooperation, and foster understanding. It is proactive, accountable and professional. There are three skills that help with this principle. While all three of the skills below are valuable, the skill of reflecting is the most valuable when truly seeking to understand others. 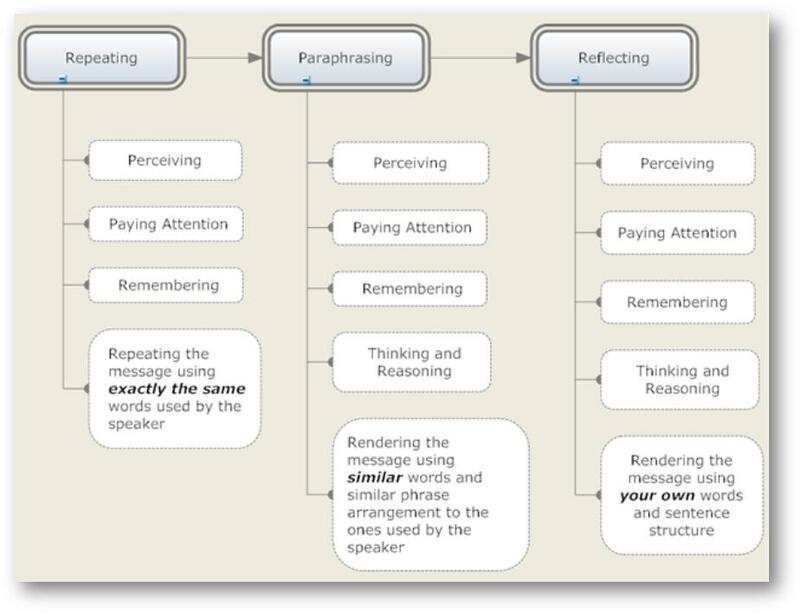 Below is a visual for how repeating, paraphrasing and reflecting help listening skills. Mastering these principles will help you effectively build relationships of trust, create safety in interactions so real communication may happen, and will help facilitate the convergence of intent and impact when communicating. What other principles do you find useful in evolving and improving your listening and leadership ability?